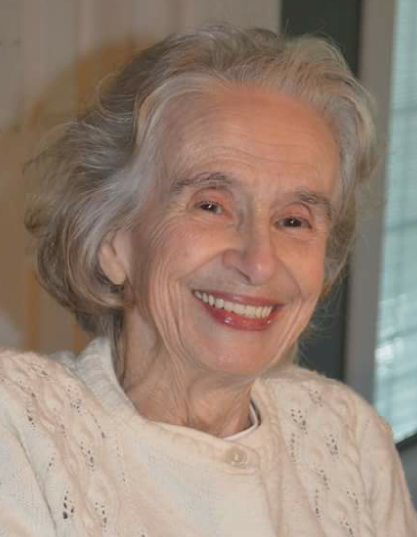 Maria Elizabeth “Ellie” Quinlan, 95 of Jacksonville passed away Wednesday, Nov. 7, 2018 at St. John’s Hospital. She was born Oct. 3, 1923, in Gurabo, Puerto Rico, the daughter of Pedro and Anna Martorell Martinez. Ellie married William Quinlan on May 17, 1943 in Santurce, P.R. and he preceded her in death on Feb. 5, 1999. Also, preceded in death by one son, William James Quinlan, III, four sisters, Rosita Martorell Scheckles, Carmen Ana Martorell Rivera, Luisa Aurora Martorell and Sarah Martorell Boles, two brothers, Humberto and Pedro Martorell. She was a seamstress at JC Caps and a foreman at Capitol Records. She enjoyed crocheting, bowling, gardening and her flowers. She loved growing vegetables and giving them away to friends and neighbors. Surviving are two daughters, Carmen A. (Robert) Vercoglio of Palmyra and Linda (Michael) Bolash of Divernon; five grandchildren, William James Quinlan IV, Christopher Klaus, Lucas Hunt, Clint Carraro, and Tyler Carraro; great-grandson, Devin Hunt; one brother, Adolfo Martorell; several nieces and nephews. Graveside services will be held at 11am, Friday, November 16, 2018 at Camp Butler National Cemetery, Springfield.